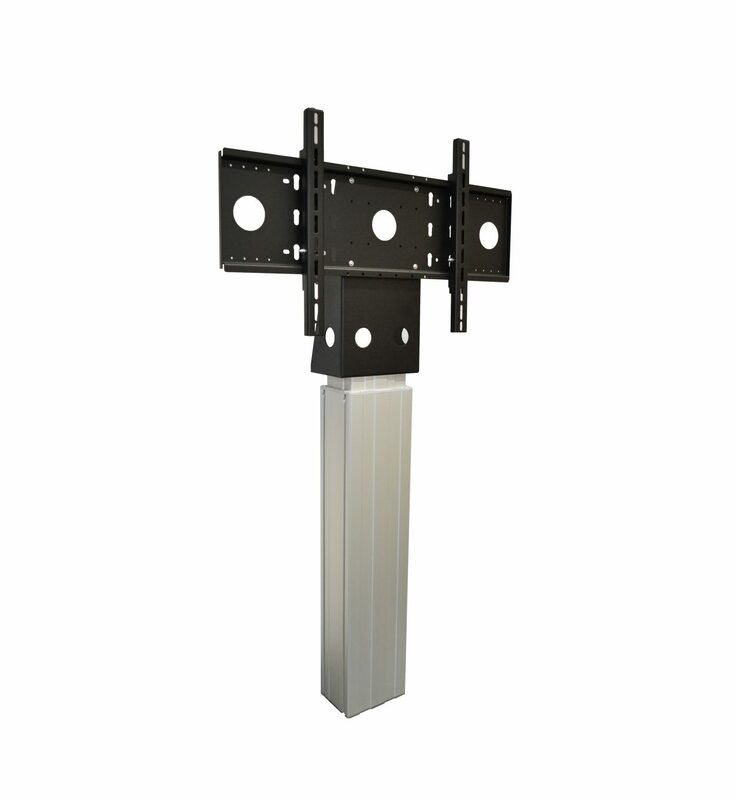 The motorised wall mount, MOW 150, is the ideal mount to safely install very large and heavy displays. 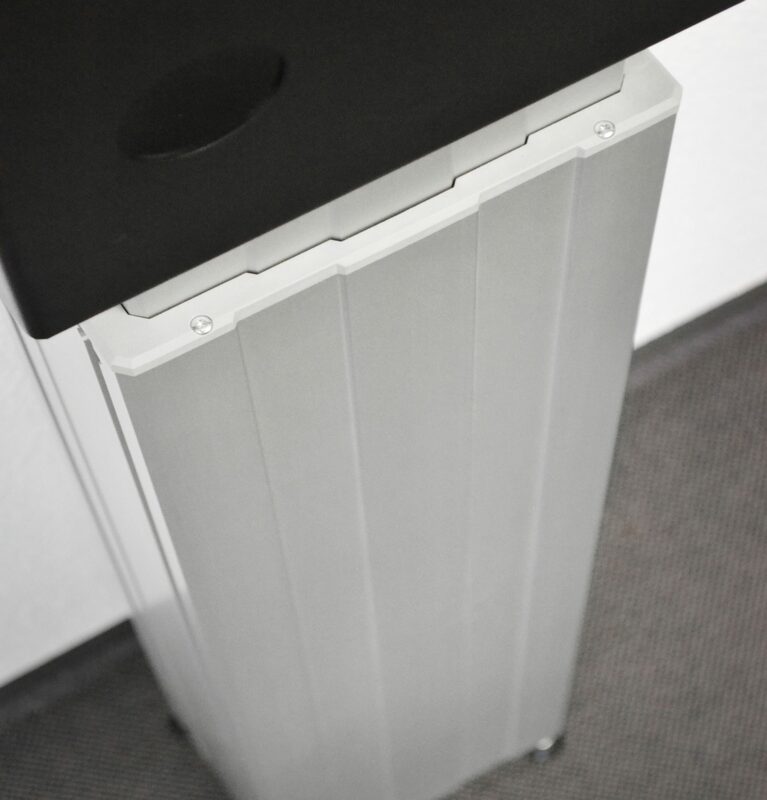 The installation is suitable for solid stone walls as well as lightweight walls. 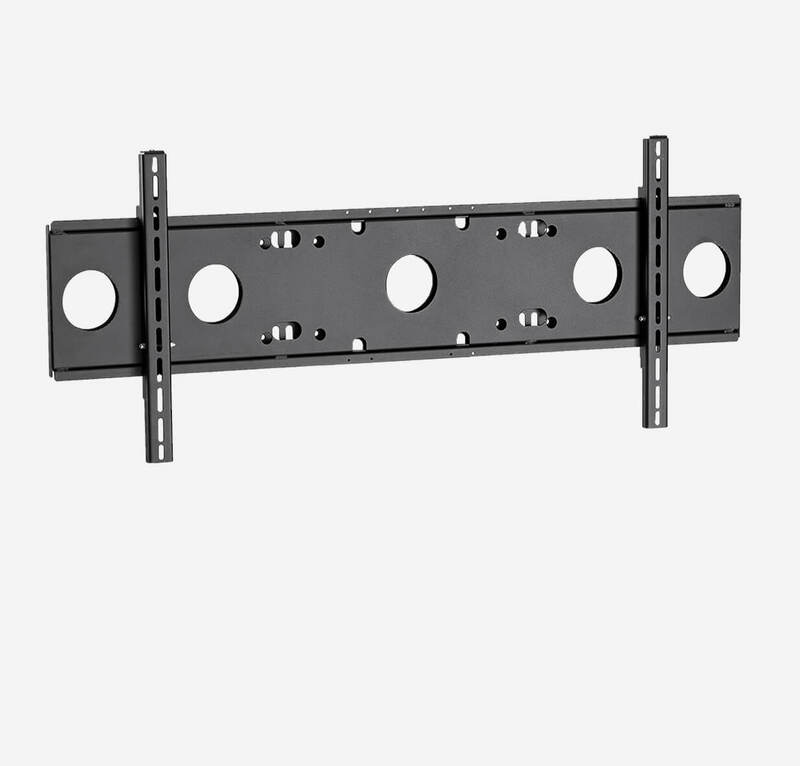 The standard version of our MOW 150 includes a mounting bracket VESA 100×100 – 800×400. 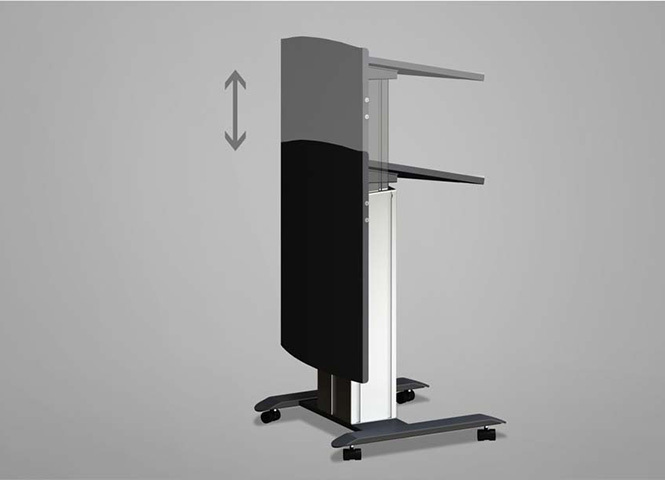 The motor-driven lifting column is made of anodised aluminium. 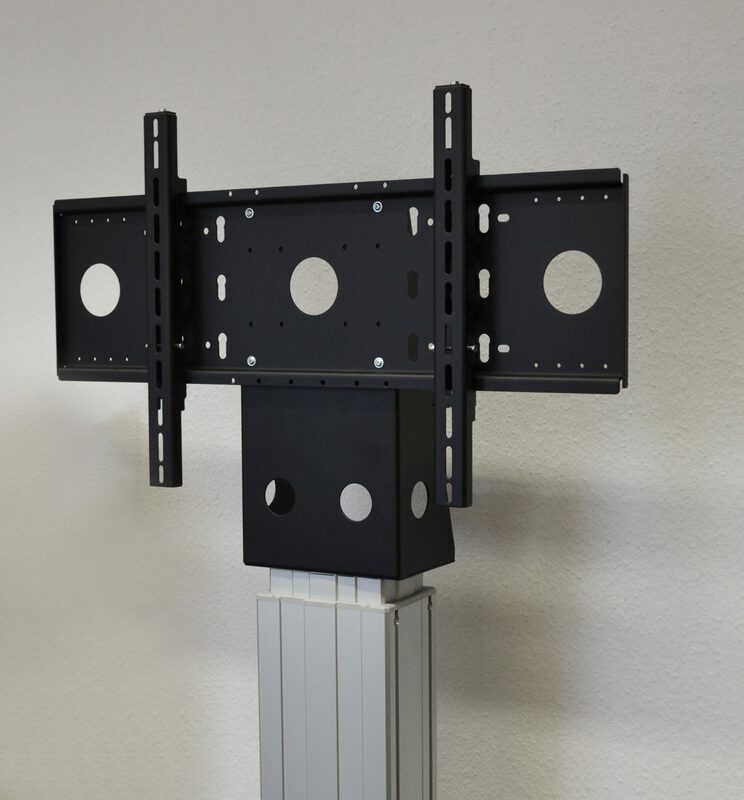 The VESA holder is powder coated in RAL 9005 Jet Black (fine structure). 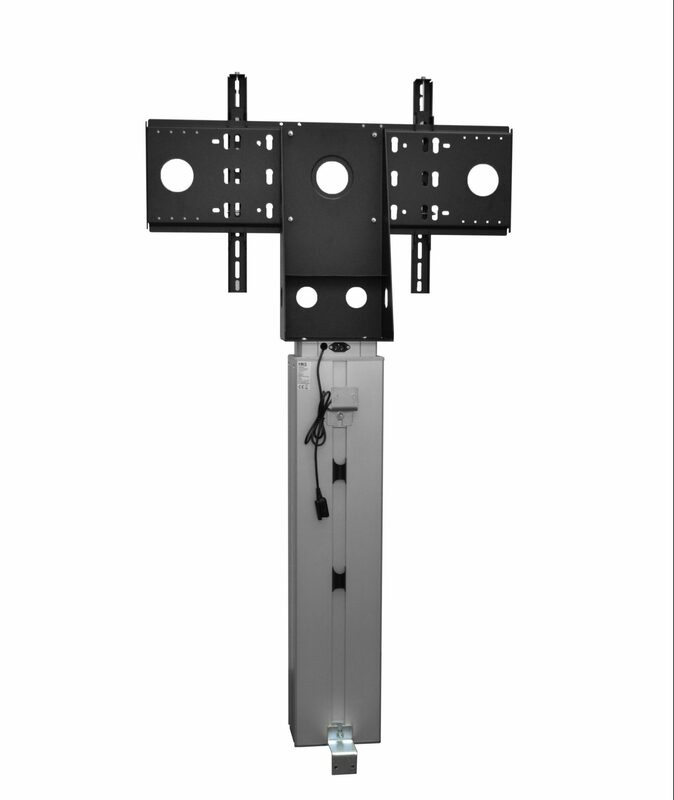 For the MOW 150 an LCD/W universal holder VESA 100×100 – 1.200×600 with a max. 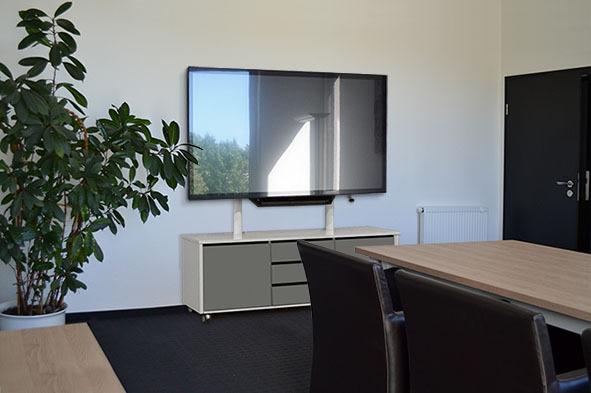 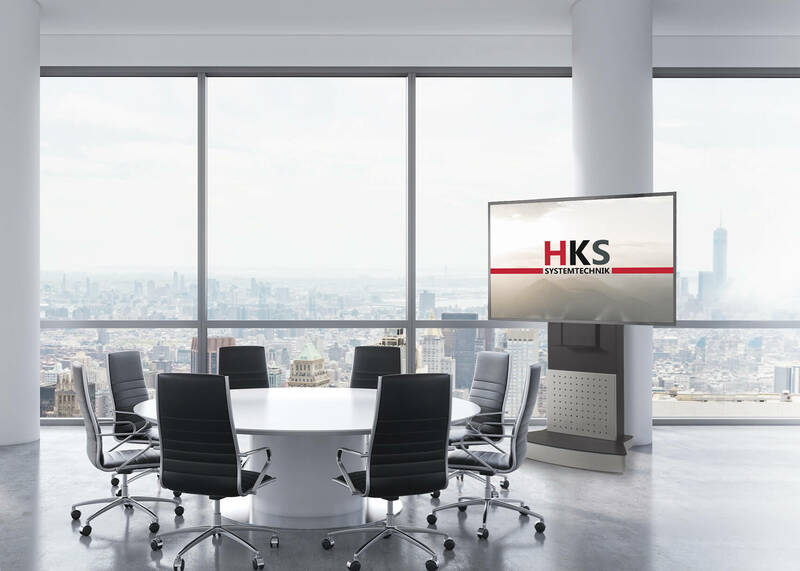 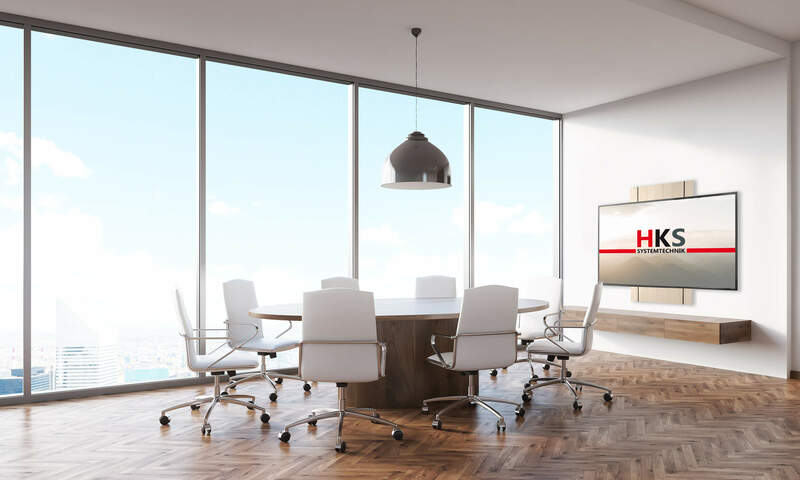 load capacity of 130 kg (for e. g. a Microsoft Surface Hub 84″) can be offered as an option. 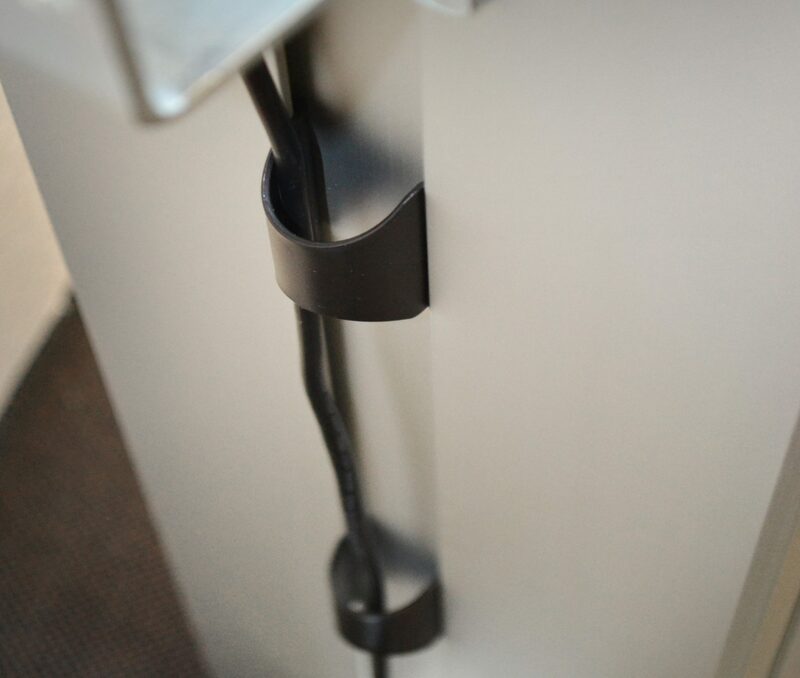 All of our motorised display stands are equipped with an on/off switch. 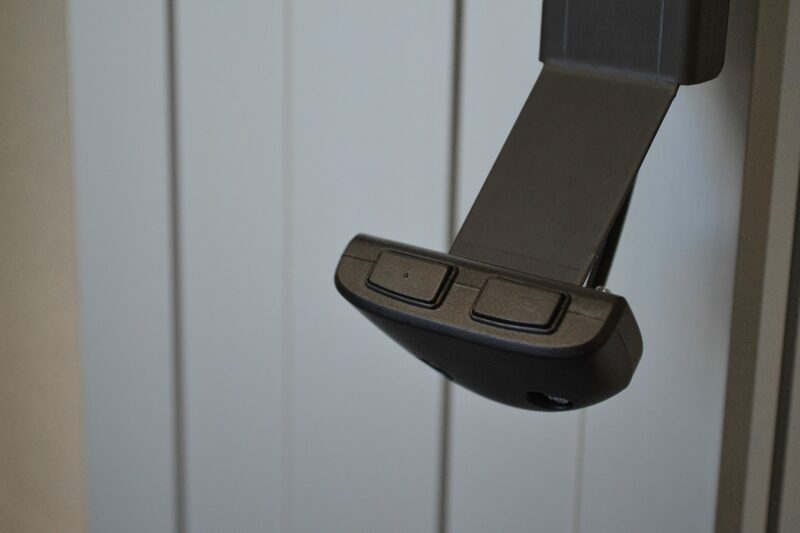 This is attached to the LCD holder and is discreetly located directly underneath your display. 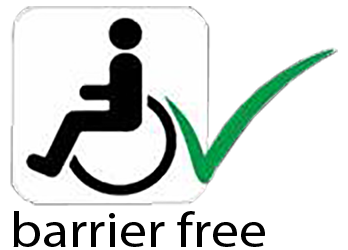 This makes the handling as easy as possible for you. 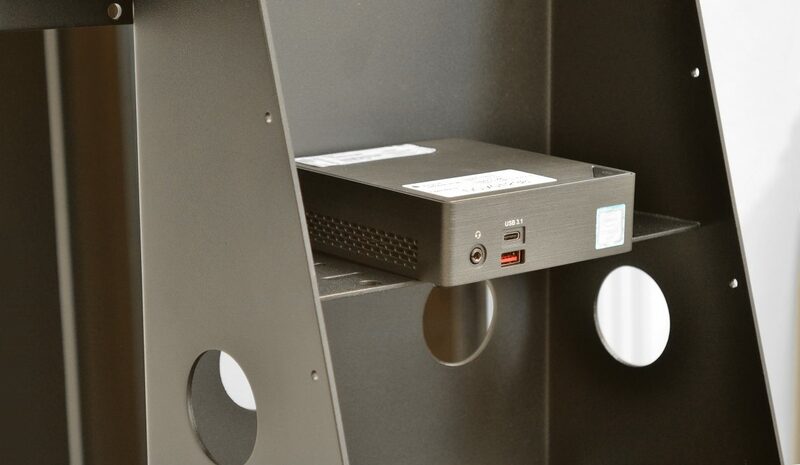 On the back there is a storage place for e. g. a mini computer. 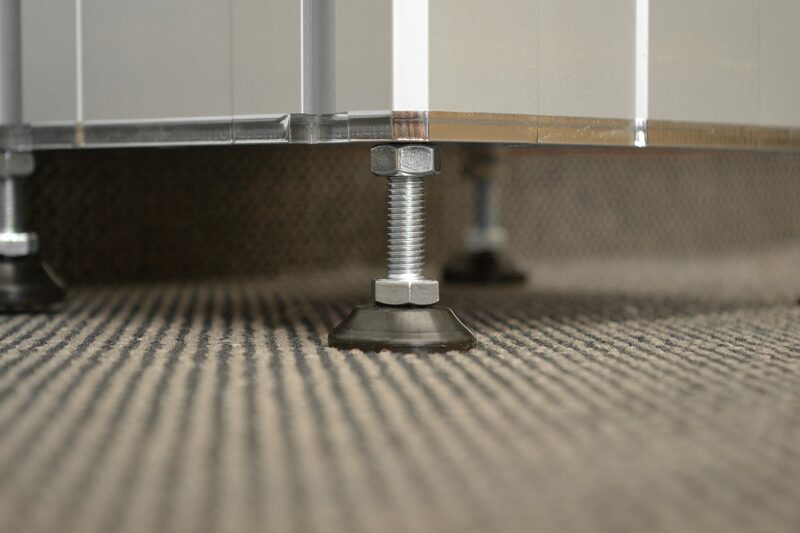 The floor levelling screws allow you to level out minor irregularities easily and quickly. 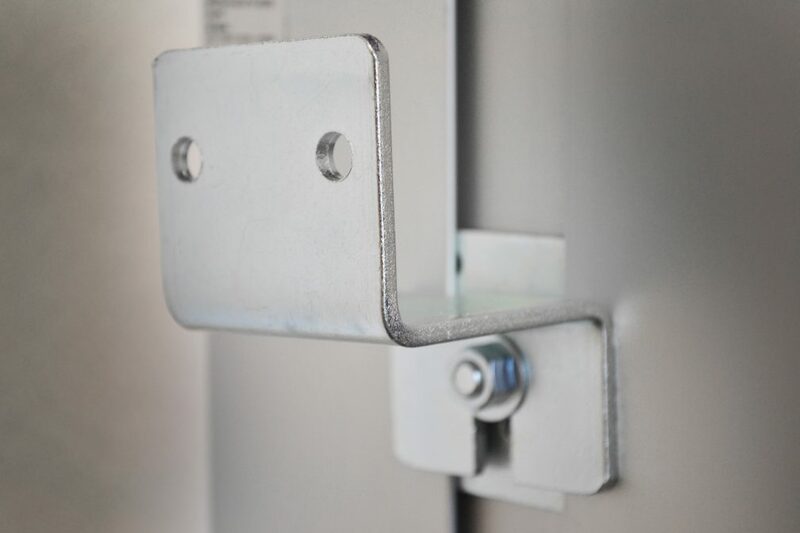 The mounting of the stable wall mounting brackets with an installation depth of 7 cm guarantees a safe mounting of the MOW 150!